Tapscape is taking a look at the new iRig Mic and iRig Mic Cast from IK Multimedia. Their iPhone/iPad compatible microphones have hit the shelves. Here is our review for the iRig Mic and iRig Mic Cast from IK Multimedia. 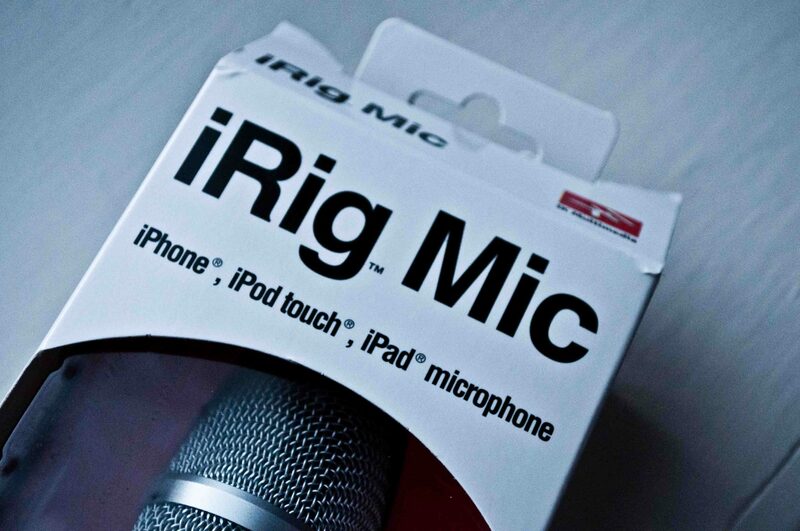 The iRig Mic from IK Multimedia offers a fully functional microphone that is compatible with your iDevice. Whether it be an iPhone, iPod Touch, or iPad, the microphone will work with any app that record sound, as well as any application on your Mic that is also compatible with Apples headphones w/mic. For any musicians, vocal artists, or hobbyists, this is the perfect tool. IK Multimedia offers a number of app to use in concert with their microphones. 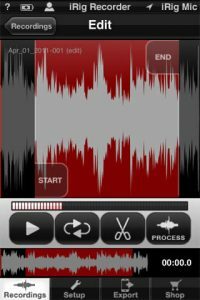 iRig Recorder offers a recording/editing suite with 8 features to adjust your audio, and their VocaLive app is the amateur vocal artists paradise, offering vocal effects such as reverb, delay, and pitch correction. 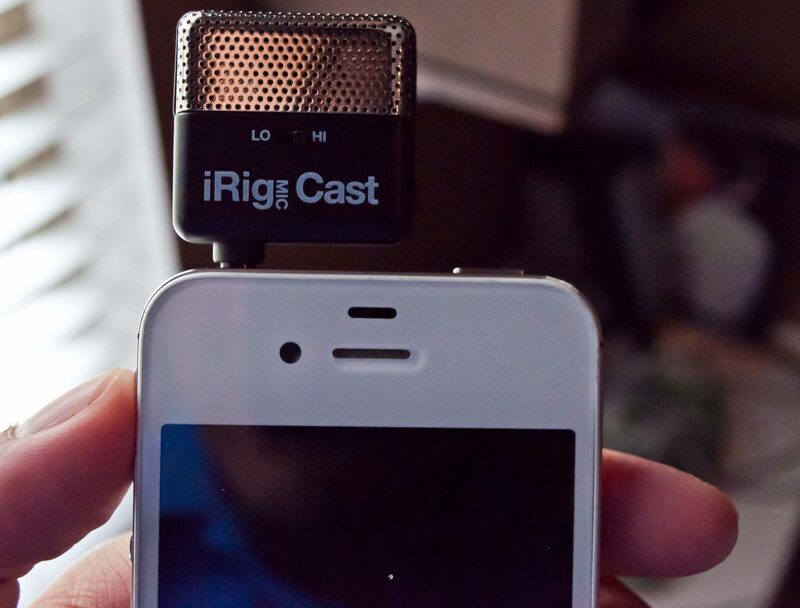 If you ever conduct interviews, publish podcasts, or ever just record your own voice, then the iRig Mic Cast is the perfect extension of your devices microphone. The size is just right, and the mic features 2 settings for lo and hi gain, to switch between recording audio sources from up close and from far away. The portability of the mic is convenient for it’s users, and it offers you a smaller alternative to the full-size iRig Mic. These two microphones record well, are easy to work with, and provide a huge advantage for anybody that is not satisfied by the default microphones that comes equipped with their current devices. 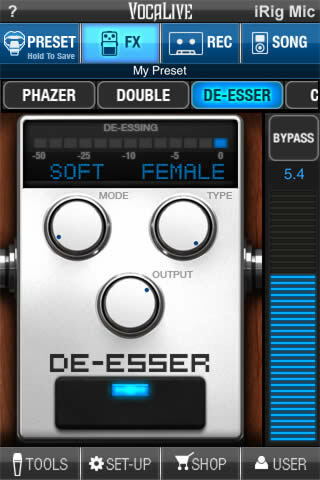 The high quality audio files supply for high sample rate recordings, making it easier to edit and manipulate the audio. All around these microphones supply a wide range of use and possibility. The full size microphone comes with a case, and a mic stand loop for ease of use. If you have recording needs, check out these microphones.